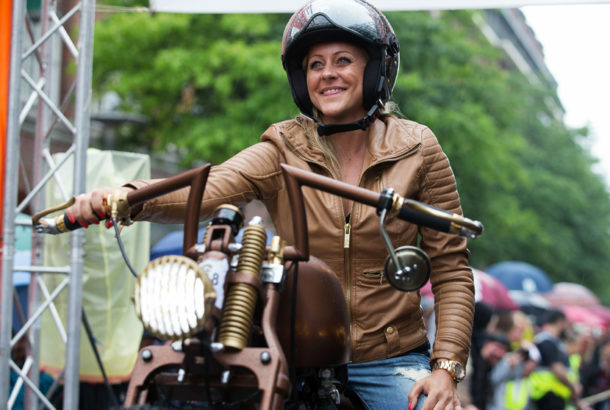 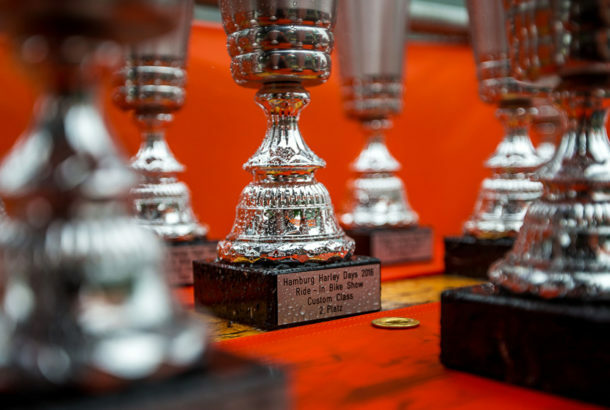 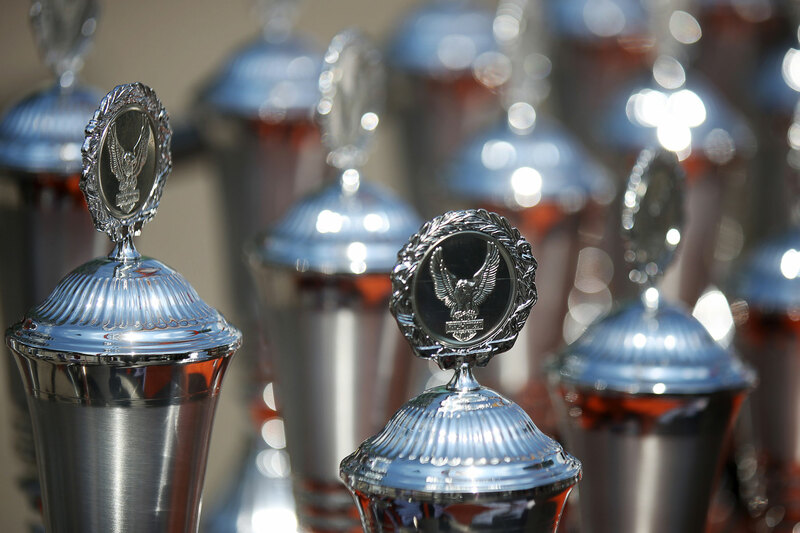 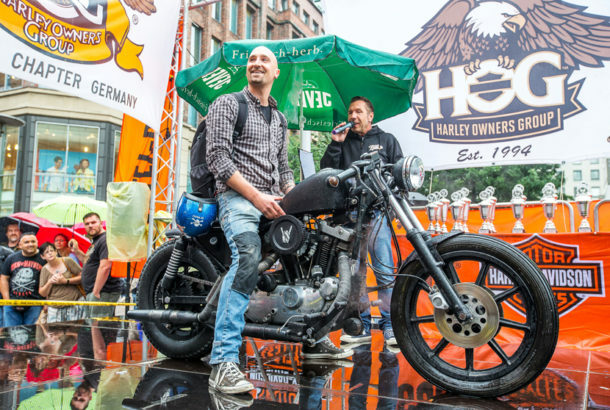 The exhibition of the most spectacular and the most beautiful bikes: about 120 extraordinary custom built bikes from 8 categories court about the favour of the jury. 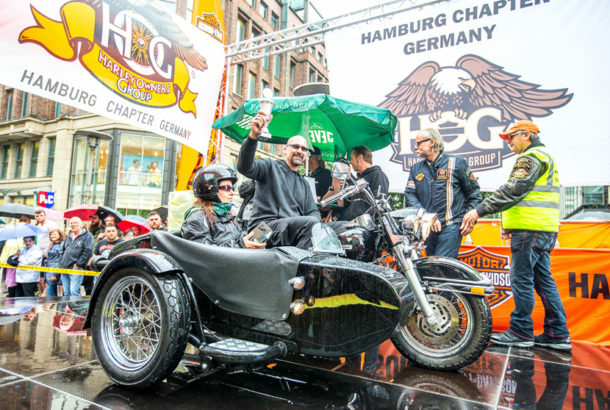 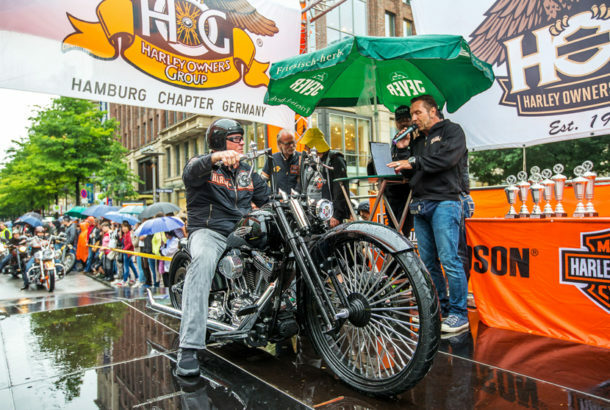 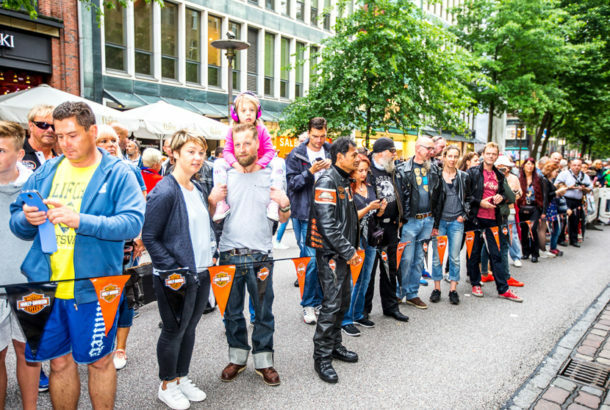 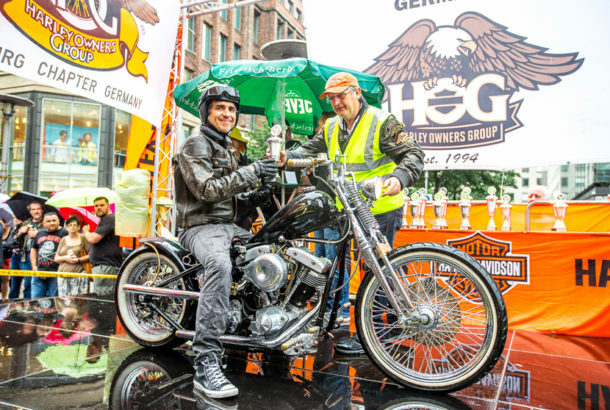 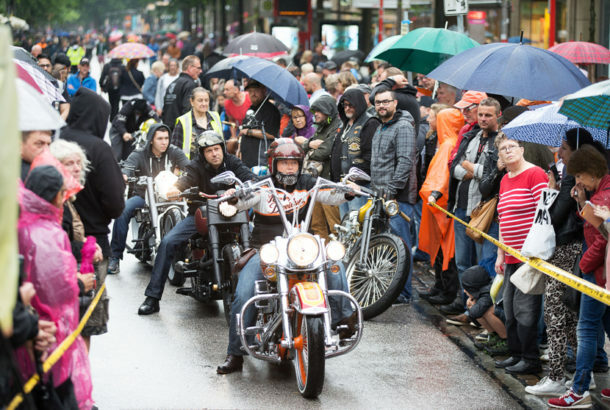 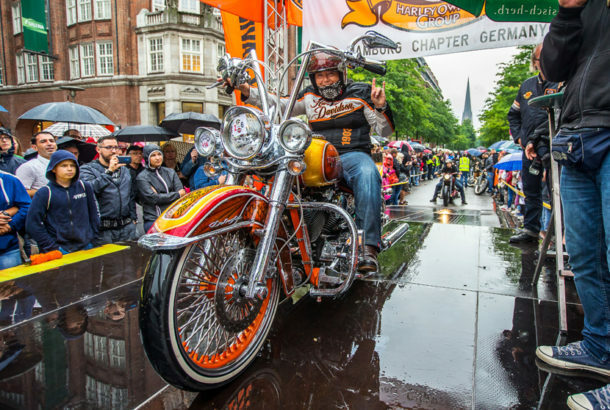 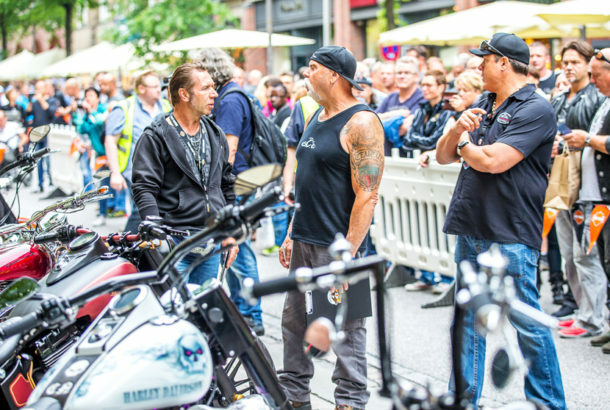 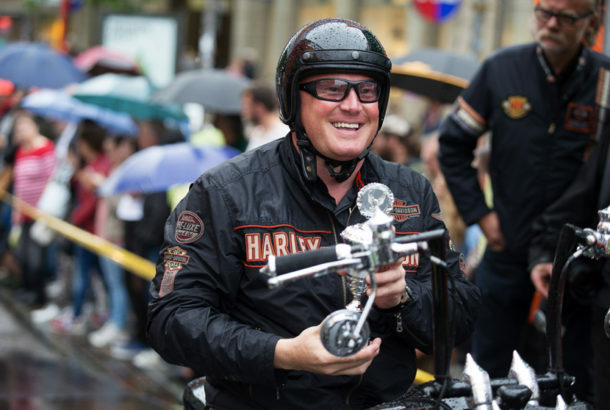 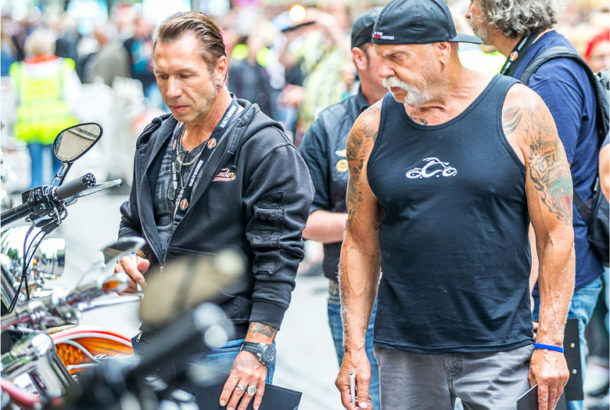 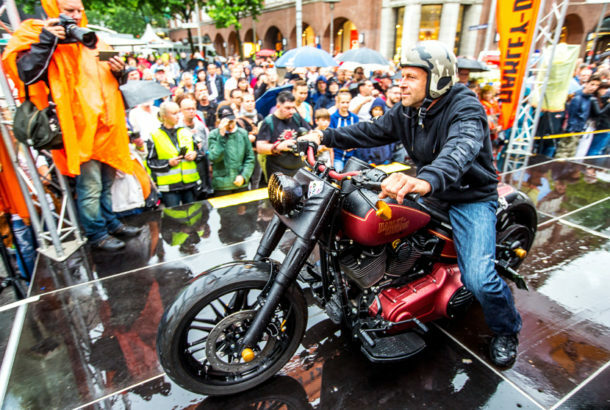 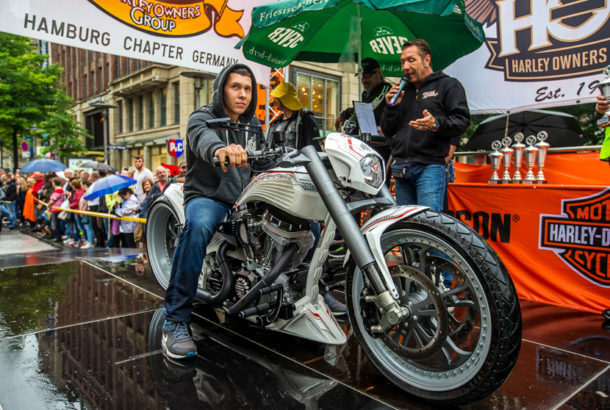 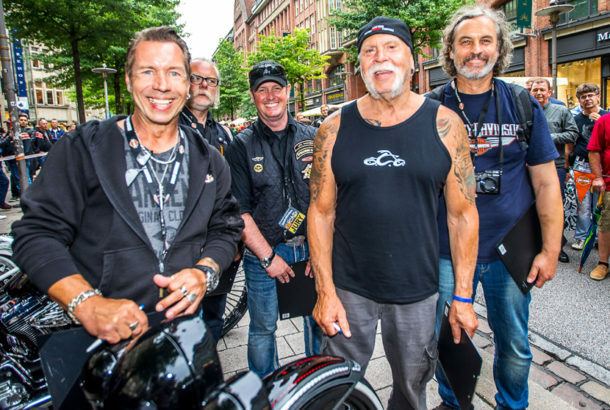 At the ride-in bike show in the middle of the “free and harley city” Hamburg, every visitor can experience the special exhibition. 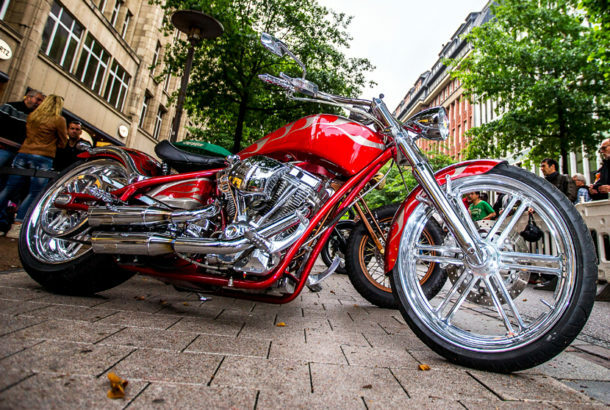 About 100 of the custom built bikes are presenting themselves at the show for inspiring your own bike-renovation. 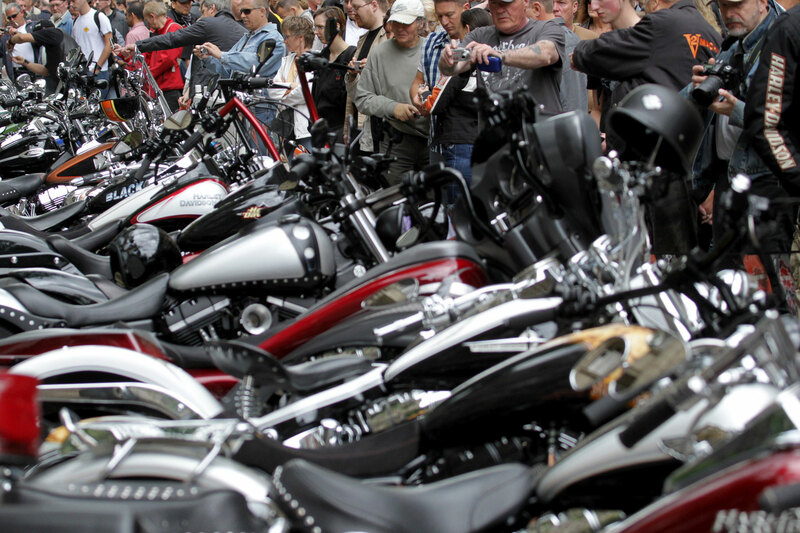 The competent jury will examine the bikes carefully to award a price. 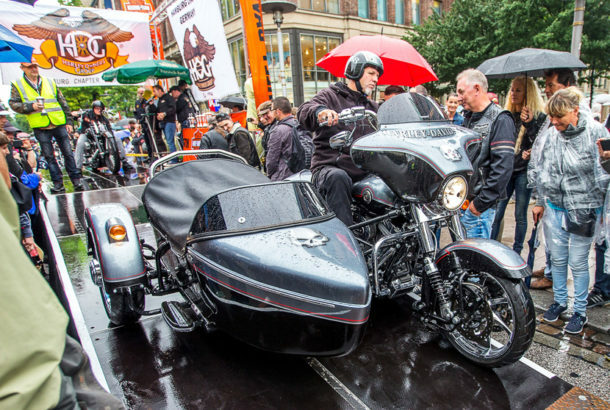 The overall impression, the varnish, the built quality as well as the cleanliness are being evaluated.